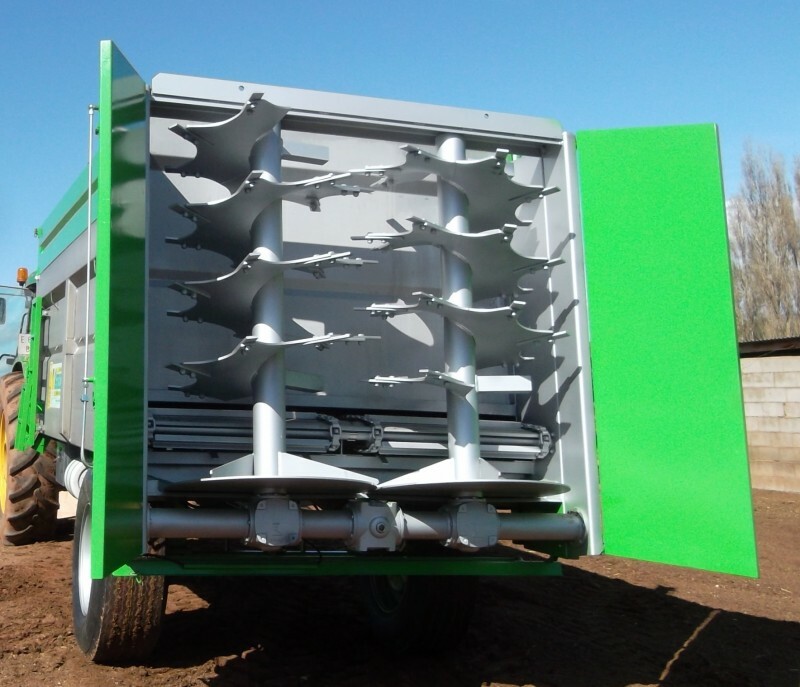 Trailer spreader for organic agriculture, environmental and ecological fertilizer, like garbage and sludge. 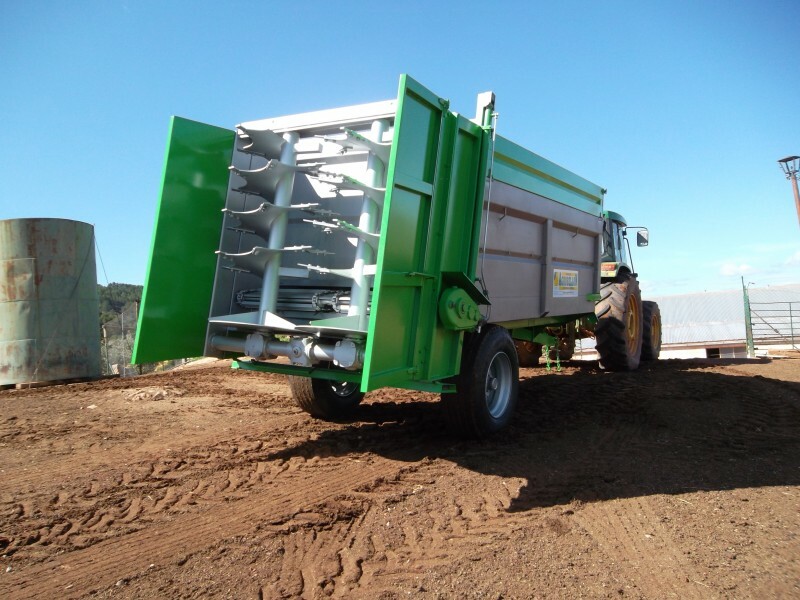 Safety monobloc single compact block and waterproof, designed and built in stainless steel or carbon steel with vertical reinforcements attached to the floor cross and chassis endow highly rigid body. The stainless steel construction optimizes the technical characteristics of the body in response to their properties, non-corrosive or oxidizing, clean and hygienic in contact with the materials to spread, durable and sturdy. 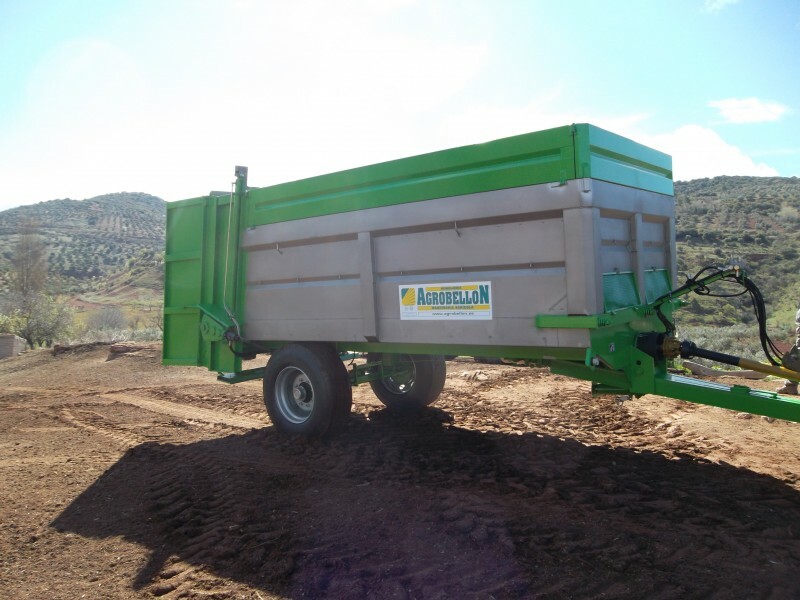 - Chassis designed and manufactured with high strength tubular profiles and haulage equipment consisting of 1 axle, two wheels and amoriguación system. - Adjustable height Lanza crossbow and hydraulic damping foot. - Drive chains to drive the material to be spread through the turnstiles at the rear part, responsible for their distribution. 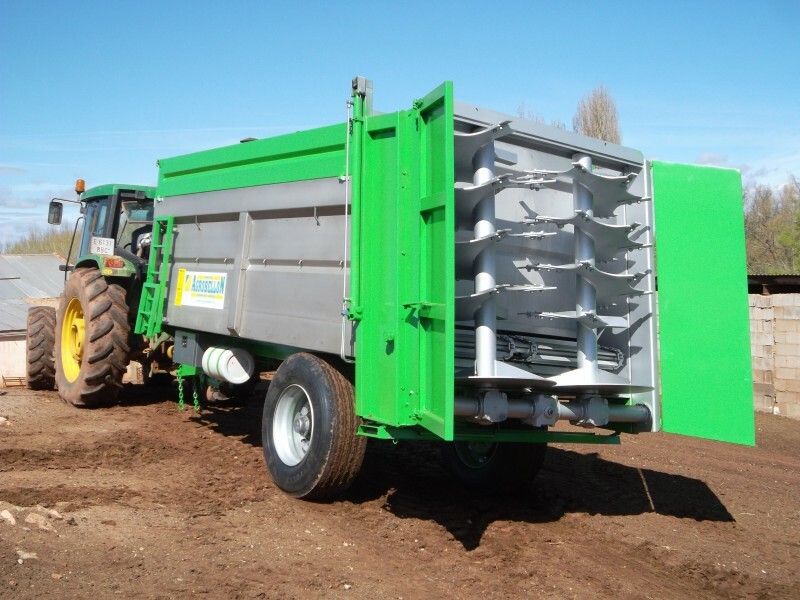 - Group molineste spreader manufactured comprises two high strength steel. Removable and operated by a group of gears robustness. - Hydraulic Tailgate that provides sealing of the box and precise adjustment of material to be spread. POSSIBILITY OF MAKING IN DIFFERENT MEASURES AND CAPABILITIES. - Vertical or horizontal windlasses.